The nova-Institute was founded as a private and independent institute in 1994. It is located in the Chemical Park Knapsack in Huerth, which lies at the heart of the chemical industry around Cologne (Germany). For the last two decades, nova-Institute has been globally active in feedstock supply, techno-economic and environmental evaluation, market research, dissemination, project management and policy for a sustainable bio-based economy. Today, nova-Institute has 25 employees and an annual turnover of more than 2 million €. Nova-Institute surrounds, strengthens and completes scientiﬁc and engineering work by linking it to feedstock, markets, economy and policy. Furthermore, nova is committed to do dissemination and marketing support. Key activities: Raw Material Supply ; Techno-Economic Evaluation; Market Research, Environmental Evaluation, Dissemination & Marketing Support, Political Framework & Strategy, nova-Institute is a member of various international associations and committees. We are founding member of the Cluster Industrial Biotechnology CLIB2021, member of the Federation of Reinforced Plastics (AVK), the subgroup "Natural Fibres Reinforced Plastics", member of the Biobased Industries Consortium BIC, member of kunstofﬂand NRW e.V. – Plastics Manufacturers Association in the German State of North Rhine-Westphalia and of IBB – Industrielle Biotechnologie Bayern. 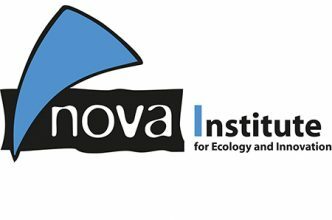 nova-Institute is the executive ofﬁce of the European Industrial Hemp Association (EIHA), is member of the Technical Committee, CEN/TC 411 "Bio-based products", of the "Expert Group on Bio-based Products" of the European Commission, member of the Thematic Working Groups "Biomass supply" and "Market-making" of the "Bioeconomy Panel" of the European Commission, as well as member of the Standing Committee on Agricultural Research (SCAR), working group "Sustainable Bioresources for a Growing Bioeconomy".